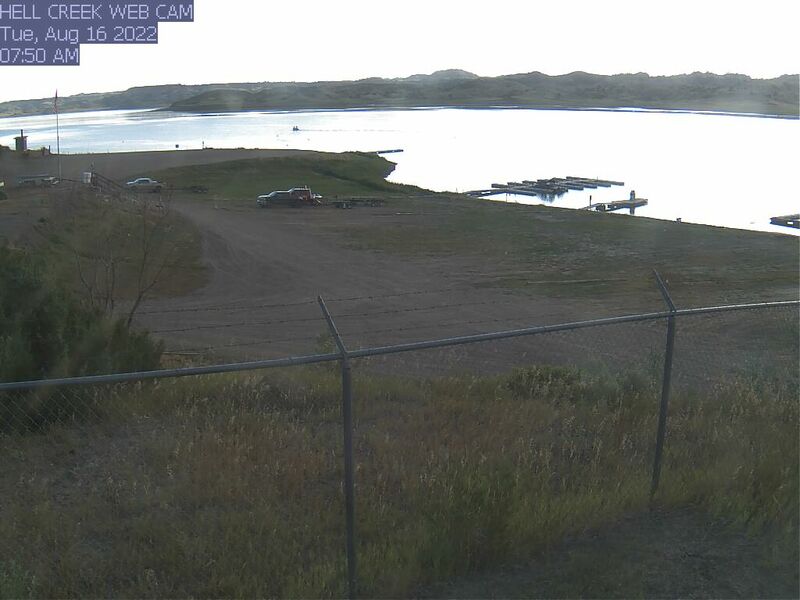 Boat fishing starts for the year at Hell Creek with ice-out on Fort Peck Reservoir, which usually occurs between the April 1 and April 15. Miles City’s C.B. Schantz shows a Fort Peck 10-pounder. That’s the time I like to fish for lake trout and also catch the occasional chinook salmon. The lake trout bite continues until the water temperature warms to the mid-50s. That’s usually about Memorial Day weekend. 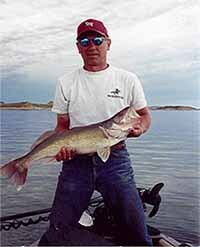 The lake trout average from 10 to 12 pounds depending on the year with several fish going into the teens. It’s rare to get one 20 or more pounds, but a few are caught each year. The walleye bite starts in about mid-to-late May and gets better as the water warms. The bite usually starts to the west of Hell Creek and slowly works its way down the lake. 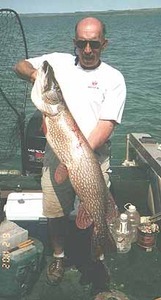 Northern pike grow big, strong near Hell Creek. Walleyes are feeding hard through June and July and good catches are recorded during this time throughout the Hell Creek area. Depending on the year, there are usually several strong age classes. If you fish the reservoir regularly, there is a good chance to take a 10-pounder. Many fish that size are taken every year. Northern pike usually bite well all year, right now there are several age classes. These fish are from small northern pike, to some fish that are 40 or more inches long and approximately 20 pounds. A fish this size can put up a great fight. Chinook salmon fishing usually starts in August and continues into October, with the fish deep early and getting shallow as the reservoir cools. In August and September, downriggers must be used while in October, long line trolling is used. Ice-up can come anytime from December on, depending on the year. In some years, the whole lake doesn’t freeze over until sometime in January.